A dazzling array of peppers have been added to this smoky Chipotle hot sauce to create a more diverse flavor profile. Ingredients: Chipotle Peppers, vinegar, Vietnamese Chili, Scotch Bonnets, Jalapeno, Green Chili, Red Sheppard, garlic, brown sugar, extra virgin olive oil, spices, sea salt. Sauce is thick and has incredibly smoky taste. Has become my go to sauce. 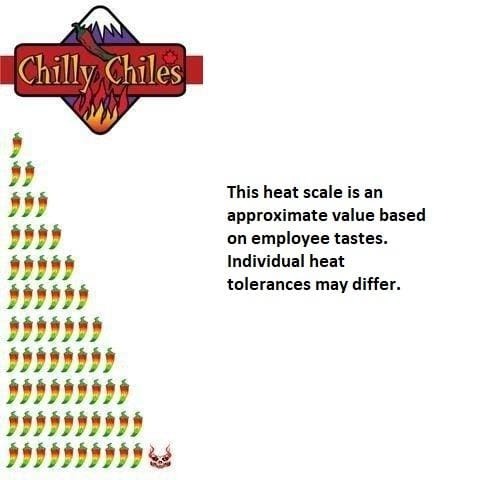 Heat level is in middle range. Not too hot.